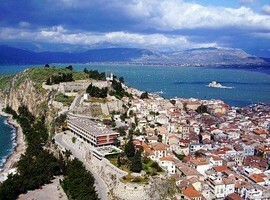 Nafplion or Nauplion is a city of Peloponnese, capital of Argolida and the main port of the eastern Peloponnese. 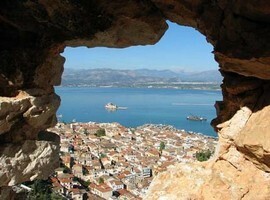 It is one of the most picturesque cities, and was the capital of the newly formed Greek state in the years 1828 – 1833. 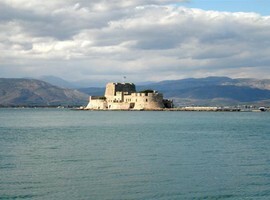 Nafplion is known for Bourtzi, a small fort built on an island in the harbor, the Palamidi, a Venetian fortress that dominates the city, the Akronafplia (in Turkish Itch Kale), another Venetian fortress, built on the homonymous peninsula. 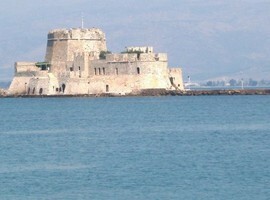 According to Greek mythology, the site of the present city was founded by Nauplius. 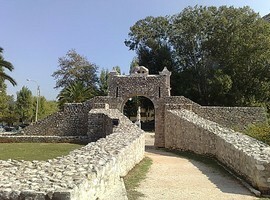 The site was fortified with Cyclopean walls. 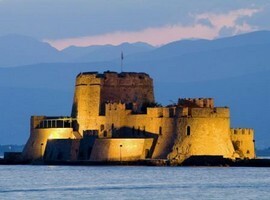 Archaeological findings prove the existence of the city already since the Mycenaean years. 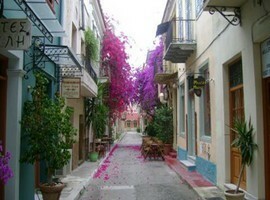 Nafplio is a popular destination for residents of Athens and the Peloponnese, as it is close to both areas. 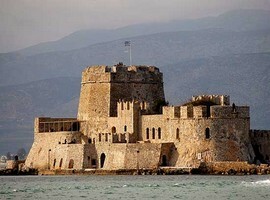 Among the most beautiful buildings in town are the Armansperg palace (residence of viceroy of Greece Armansperg) and the archaeological museum at the Constitution Square. 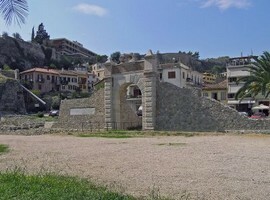 The city also operates an Annex of the Greek National Gallery. 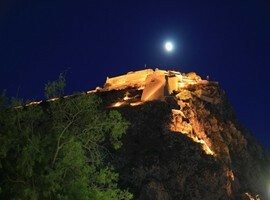 Palamidi is a fortress in Nafplio , which was built in 1687 by the Venetians , after the conquest of the hill on which it is located, after a fierce battle with the Ottomans during the Venetian-Turkish War . 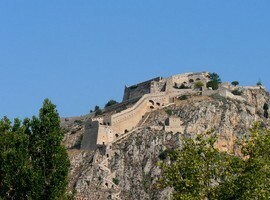 The hill on which it is built is 216 feet high. 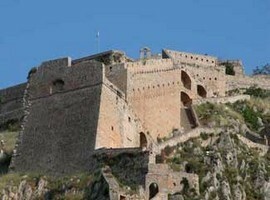 The climb to the fortress is possible either through vehicular route or via a staircase with 999 steps. 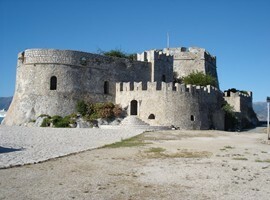 In 1715, during the latter Venetian-Turkish War, the Ottomans were able to conquer it once they blew up one part of it. 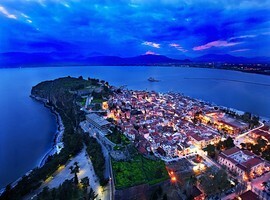 The old Nafplio , or else the initial part of the city of Nafplio is relaxed, with countless souvenir shops and taverns. 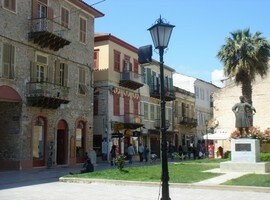 The town is small as the old part of which crossed comfortably in 15 minutes. 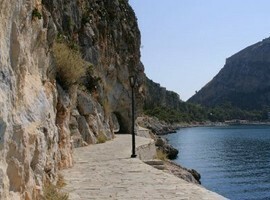 The presence of tourists is strong but the scenery is still quiet. 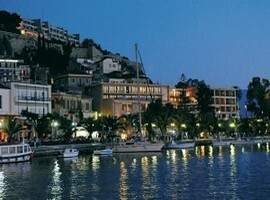 Many of the hotels are impressive and all the stores give a sense of recent renovations.